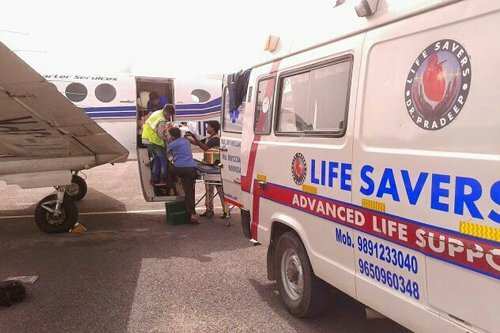 Our air ambulance service in Delhi provides the best medical evacuation. Under this service, you can get a patient transferred from one medical institution/ hospital to another. It is essential for the patients who are in grave condition and need a treatment which is available at a specialized hospital in another city. 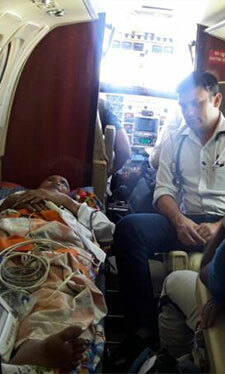 Air Ambulance is also helpful during emergencies & complications when the time frame to save the patients is small. The travelers suffering from injuries or illnesses in another city/country who wish to stay close to their home are also benefited from the charter and commercial air ambulance. 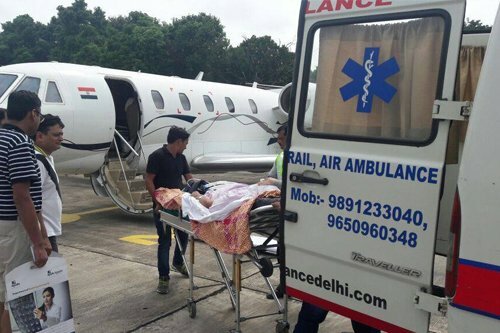 How much does an Air Ambulance service in Delhi cost? We offer the most affordable medical transportation with in-flight medical staff. Our crew has a lot of experience in handling emergencies. We have MD doctors and other health practitioners to assist the patients on board. The set of hi-tech medical equipment offer the patients the latest treatments. Our medical team will safely transfer your loved ones from the current medical center to the new hospital. Wheelchairs are also available for needy patients. 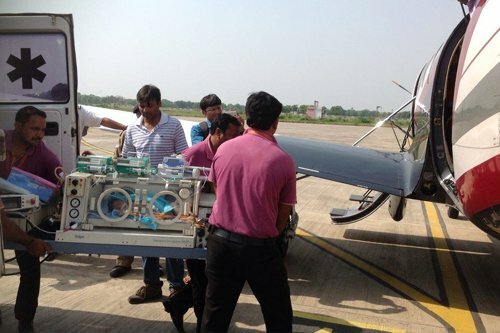 You will get the best air ambulance service in Delhi having all diagnostic equipment at a reasonable price. The cost primarily depends on the condition of the patient and the distance to be traveled. Air Ambulance service in Delhi also has a special team for I.C.U patients which costs higher than the general medical staff. Both international and domestic evacuations are accessible at our Air Ambulance. Therefore, you can easily relocate your ill family members from Delhi to other cities in India as well as worldwide. Besides the emergency air services we also serve patients with road and train ambulance services. How to book our Air Ambulance service in Delhi? You can book both commercial and private air ambulance with an experienced medical team and well-experienced crew anytime. To book our air ambulance service in Delhi you can either call or email us. The online payment allows the users to access our services at any time and anywhere. We transfer patients from Delhi to other cities of India 24X 7. We dominate the emergency air ambulance services from Delhi to Mumbai and Delhi to Chennai. The other cities where our services have established a benchmark are - Kolkata, Chennai, Mumbai, Vellore, etc. Being a Delhi-based medical transport service provider, it gives us a greater edge over the other medical aircraft services. We have established our name in one of the top emergency medical evacuation contributors. The leaving in the remote areas can now receive the best healthcare in the country in a pocket-friendly range.